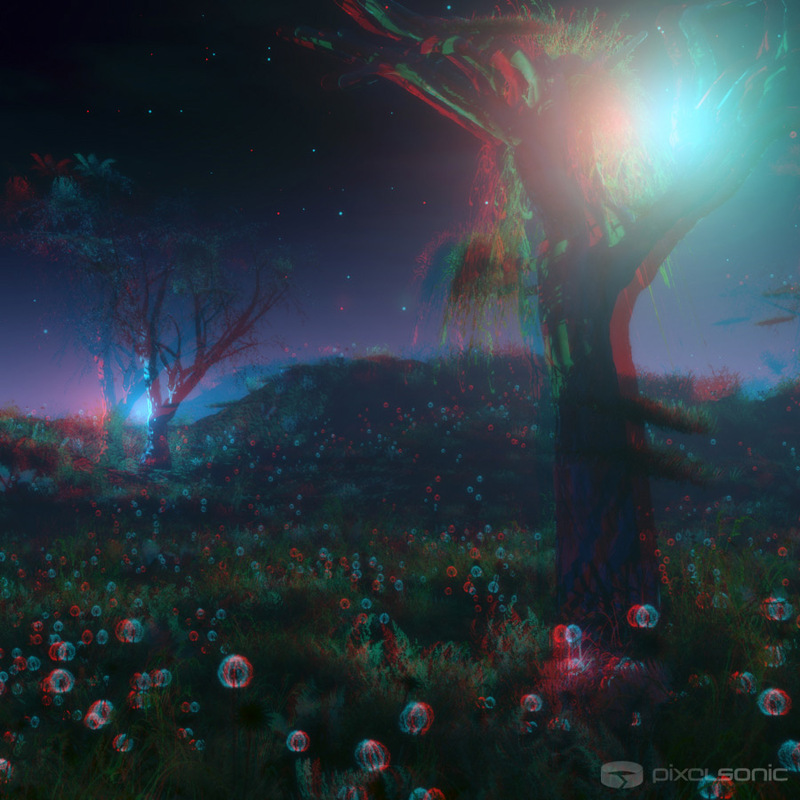 Stereoscopic version of a fantasy forest created in Vue. Please put on anaglyph stereo glasses (RED – CYAN), in order to view the 3D effect. This image is also included in the Pixelsonic Viewmaster Set.